This summer, we’re connecting urban development plans with local job creation strategies, and integrating stakeholder input as major investment unfolds. We’ve had the opportunity to support revitalization and master planning efforts over the past few months. Take a deeper look at these projects below. We’ve been in Jamaica and Trenton helping identify innovative workforce training and partnership models to support local economic growth. 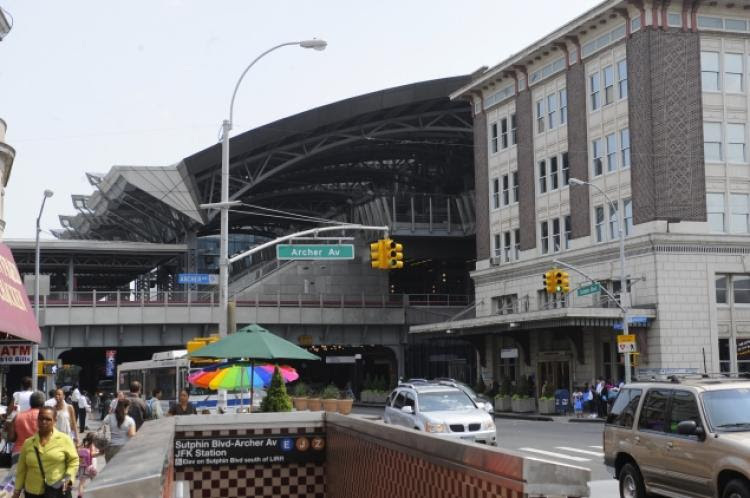 Governor Cuomo recently announced winning projects for Jamaica, Queens’ $10 million Downtown Revitalization Initiative (DRI). We’ve been supporting a team led by HR&A Advisors to help the Jamaica Local Planning Committee (LPC) identify and develop these projects, which will facilitate catalytic economic development and investment in vibrant downtown activity. We advised the LPC on workforce and business support opportunities to increase job growth and attract workers downtown, and focused most closely on one of the winning projects to expand the Prime Skills Entrepreneurship Fund. This training program, managed by the Queens Economic Development Corporation, helps low-income Jamaica residents gain skills and tools to launch their own businesses. The additional DRI funding will capitalize on existing program infrastructure and early successes to scale the model, building a class of businesses in Jamaica owned by residents and giving the local community a direct connection to the economic growth of the DRI. We played a similar workforce subject matter expert role working with Group Melvin Design on the Trenton250 Master Plan. We’re excited to join stakeholders in announcing the results of this effort – aimed at combining economic development, education, housing, land use, and transit policies to transform the city – in the near future. We’ve also got a new Analyst on board. Say hello. Please join us in welcoming Sam Facas to Public WorksPartners as our newest Analyst! Sam joins us from the NYC Department of City Planning, where he spent three years working on the coordination and development of neighborhood planning studies to expand affordable housing opportunities for New Yorkers. Combining his non-profit, government, and private sector experience, Sam will conduct policy research and program coordination to provide our clients with thoughtful, actionable solutions to multidimensional problems.